The Chicago Bears target list for NFL free agency is undoubtedly being formed as we speak. GM Ryan Pace and head coach Matt Nagy want a battle plan set. This off-season is incredibly important for the franchise. They have to attack the roster from both the inside and out in order to finally get it over the hump and back to winning football. Pace knows he’s under the gun more than ever. The honeymoon period is long over. Excuses are dwindling. He’s got his new head coach in Nagy and his desired young quarterback in Mitch Trubisky. If this team doesn’t start winning soon, his job is going to come into question. George McCaskey has remained patient to this point, but there’s no telling how much longer that lasts. Up to this point, Pace has operated carefully in terms of the types of players he seeks. He heavily emphasizes character in his evaluations. Trubisky, Akiem Hicks, Cody Whitehair, and Eddie Jackson are just a few examples of this. However, if this team is going to reach the next level he may have to take a bit more of a risk on that front. Bill Barnwell of ESPN projected five moves the Bears have to make this off-season. 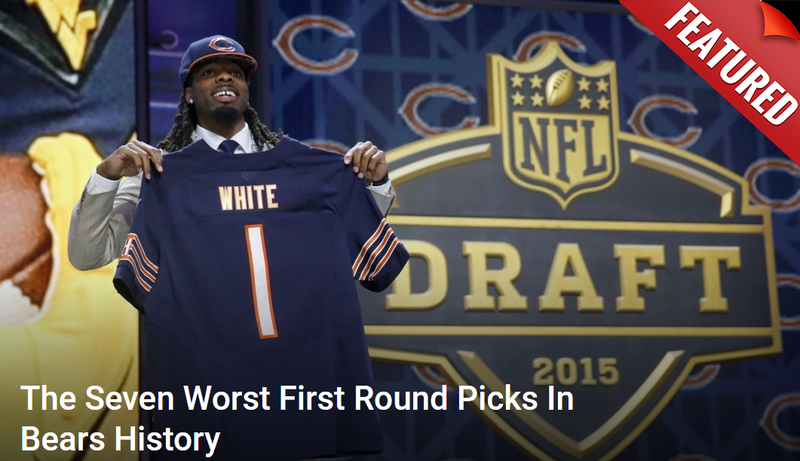 Among them included some obvious things like cutting Mike Glennon and re-signing Kyle Fuller. His most interesting note though came at the end. He believes the Bears are in position and must consider a hard run at looming salary cap casualty Muhammad Wilkerson. “Although not technically a free agent, Wilkerson is expected to hit the market this offseason when the Jets cut their former first-round pick to shed his $20 million cap hit, which would be the largest for any defensive end in football. Wilkerson has been wildly disappointing over the past two seasons since signing the deal, and nobody’s going to pay him that much. Wilkerson turns 29-years old this October. The Jets would save $11 million by cutting him. The problem is they already have $73 million in projected space, so it’s not like they need the extra cash. Still, the possibility is certainly there. Wilkerson was a dominant force in 2015, notching 12 sacks and his first trip to the Pro Bowl. Since then though he’s last his edge. Not only has he gotten into reported disagreements with the coaching staff, he also has just eight sacks over the past two years. It’s hard to say whether that regression is simple diminishing skill or lack of true effort. If it’s the latter, then the Bears would have reason to take this calculated risk. If they could get the 12-sack version of Wilkerson together with Hicks and Eddie Goldman? That combination would be devastating.